After what can only be described as their busiest and most successful year yet, the Scuderia Ecosse team is planning another full international programme in 2007. The Scottish team will again be going for the GT2 win in the FIA GT Championship and will also compete in the full season of Le Mans Series races. 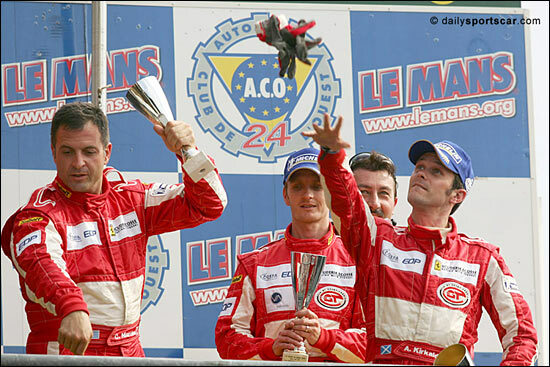 There’s also the small matter of Stewart Roden’s unfulfilled ambition of that GT2 class win at Le Mans! Stewart Roden is staying tight-lipped for now on the identities of the 2007 drivers (see previous item – an interview with Chris Niarchos and Tim Mullen) but did let slip that there may be room for one or two more, so we’d suggest that interested parties contact Stewart Roden direct at stewart@scuderiaecosse.com.